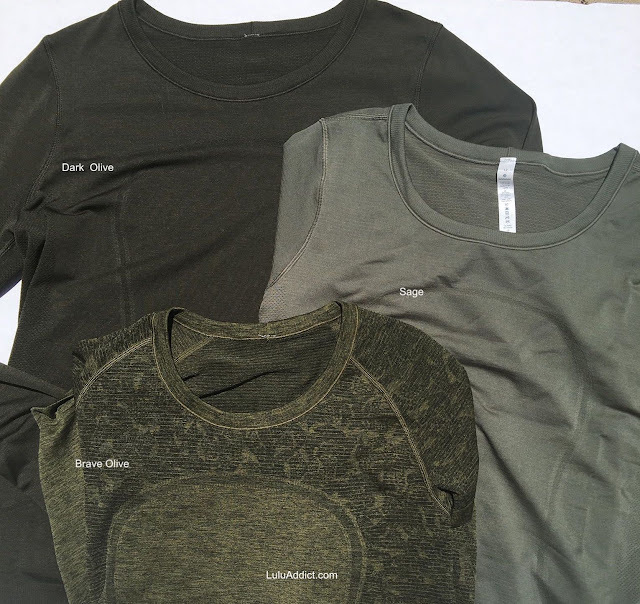 I am a big fan of the new Breeze Swiftlys and just bought a third short sleeve top in Sage (I also have it in black and Ruby Red). 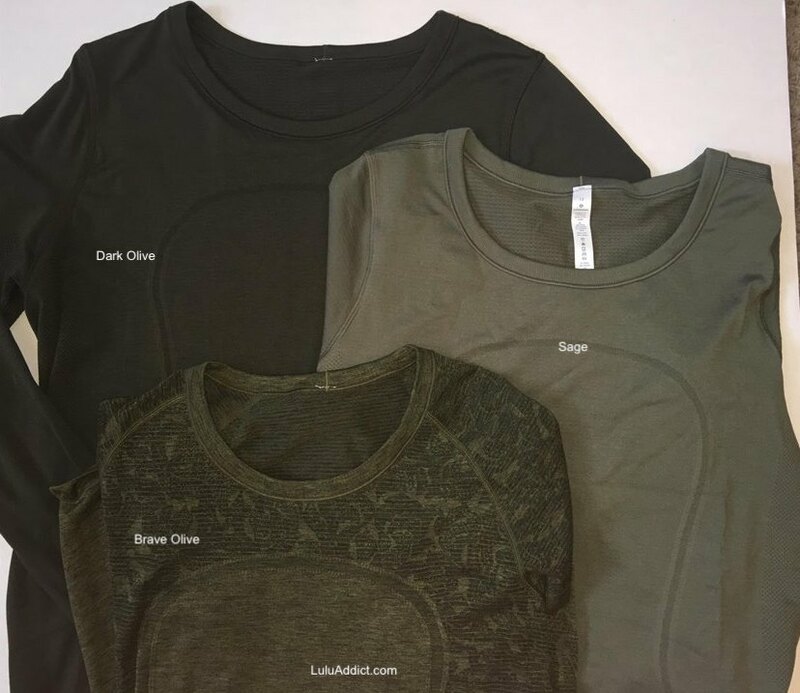 Here is Sage compared to the Dark Olive LS Breeze and a regular Swiftly SS in Brave Olive print. The saturated solid Swiftlys are super, super soft and just a pleasure to wear.